Florence is a gorgeous city for walking, strolling and just taking it all in. One of its real pleasures is that everything is packed into less than a square mile. From churches to museums, from markets to artwork you can see an awful lot of stuff in a very short amount of time. We stayed for three nights, could easily have stayed much longer but managed to see and do all we wanted. A walking city, you can stroll between the Duomo and Uffizi in less than five minutes. The whole of the central historical area is closed to traffic, however that does not include taxis, those with parking permits, Vespas and scooters so still some traffic to dodge as well as countless tourists but a huge improvement from our last trip before the pedestrianization. The pavements are quite narrow at times and the streets are mainly cobbled – comfortable shoes will be your best friend. 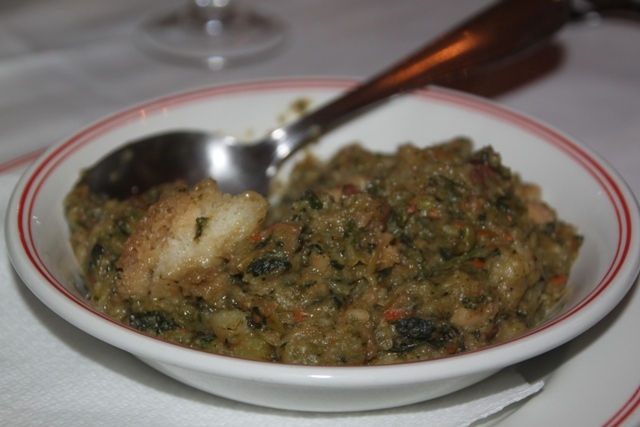 No visit to Italy is complete without stuffing yourself at meal times, for us Florence was no exception to this rule. We feasted on the most delicious Tuscan fare – so good with such simple combinations of the freshest ingredients. 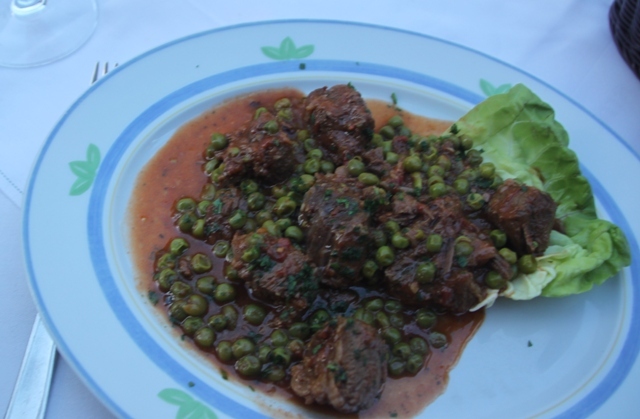 I loved the bistecca alla fiorentine (beef stew). Husband was not so keen on the ribolitta (bread soup) but he tried it! Children are not left out when it comes to mealtimes – pasta and pizza at every meal followed by gelato, Son was in foodie heaven. He has eaten copious amounts of pizza and pasta in his life, but in his opinion it has never tasted better than when eaten in Florence. Gelato – what can I say! Apparently Florence invented the stuff, there are so many gelato places you are never more than steps away from one. It is often made in the bar where you buy it, the range of flavours is huge and exotic and every single one we sampled was excellent. Believe me, we did our research very well here and sampled many, many gelato flavours. Son remains loyal to chocolate though, I will stand firm that yoghurt flavour is the best. Tap water is safe to drink, that was good for Son. The wines are wonderful, that was good for us. We made sure to try many of the excellent wines of the region, chianti stands out, it is very cheap and very good – we can vouch for that too! Restaurants have separate prices for food to go or eaten standing up versus sitting down. Sounds like a no-brainer but we did spot some people trying to sit at a table after paying for food and being uncomfortably surprised by a yelling waiter. Not an experience I would care to have. The food is top notch, in all the price ranges we dined like kings. I actually preferred the (very cheap) window stands where they only have 5 or 6 things to choose – the food here is so delicious. We ate mostly outside the historical district – obviously the quality and price is better, but one evening we did have food at a pizzeria in the touristy part and had no complaints. We strolled at all times of the day and evening. Generally we felt very safe although there are the usual pick pocket and bag snatcher warnings. We did see one episode of the latter, Son was a bit freaked, but it put us on our guard. 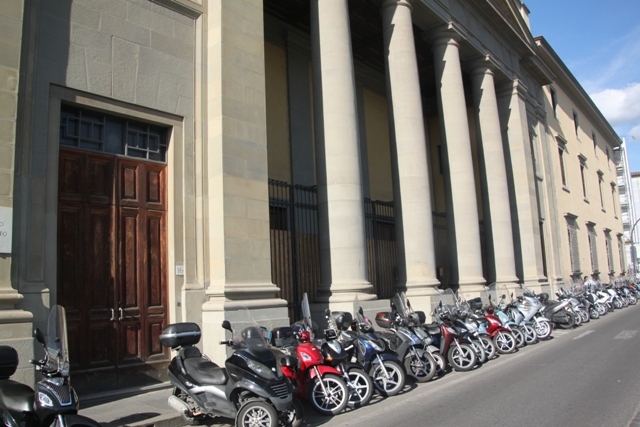 One area I was not so keen though was around the Santa Maria Novella station – some dodgy characters around, we encountered one right by the ticket machine while leaving. He refused to let us stamp our tickets, insisted on doing this for us and then demanded payment. We felt quite uncomfortable, didn’t know how to avoid him but ended up giving him a Euro and he was on his way. Not a nice way to end our stay in Florence, but a small thing in an otherwise perfect stay in a beautiful city. Florence & Tuscany – Florence is famous for its history: a centre of medieval European trade and finance and one of the wealthiest cities of the time, it is considered the birthplace of the Renaissance, and has been called “the Athens of the Middle Ages”. A turbulent political history includes periods of rule by the powerful Medici family, and numerous religious and republican revolutions. From 1865 to 1871 the city was the capital of the recently established Kingdom of Italy. You had me at the photo of gelato! Great city; great post. Just curious–did you eat any tiramisu there? I remember it with a liberal kick of liquor and coffee flavor there. We’ve eaten some in Germany lately that was very milky-custardy, and it just doesn’t live up to the Italian version. We didn’t have any on this trip (kicking myself now) I think we were so stuffed with gelato there was no room to consider any other sweet treats!! I did have it in Italy before though and like you say remember it had that coffee and liquor kick. It can be really hit and miss in England too, sometimes it lives up to the Italian tiramisu, sometimes it is a bit feeble. That is interesting that there are different prices for the food depending on where you sit! Good to know! Yes, cheaper standing up (for the same food), but sometimes you just gotta sit down! Great blog. True, Florence is such a beautiful city, with so much to offer the tourist. But I have some great and not so great memories of staying there! Like all cities, it has its problems. I was twenty-one when I spent two months there with my girlfriend, and was shocked to realize that the Ponte Veccio was really a front for drug dealers, and beneath the bridge on the banks of the river was the first time I had ever seen people injecting or shooting up. In Piazza Santo Spirito, our local Piazza close to our appartment, I was followed by a bunch of guys, who I was later told were gypsies. After telling one of them to please LEAVE ME ALONE stop touching and threatening me, he kung fu kicked me in the stomach and I went flying back, landing sprawed backwards across the pebbled stones. He and his buddies ran off down a side street, and the sweet locals who had watched from their caffe helped me up and gathered the contents of my purse which had scattered as I was flung through the air. The Florentines were so kind and apologetic and bought me camomile tea! One of them took us both under his wing and s for a month, taking us to gorgeous villages and towns around Florence, where we learned about the war, the Nazi occupation, and the history not told in school! Wonderful experience. Florence is a wonderful city, but with all cities, as you say, you just have to watch it! These little experiences are what makes life all the more interesting! PS never leave a restaurant with the unfinished bottle of water from your table as we did, thinking it was ours to take back to our apartment.. they will come after you, screaming and shouting, chasing you down the street for the bottle! Wooops..sorry signor! Didn’t know that about the Ponte Vecchio but that is where we saw the bag snatching episode, I guess we were a little more careful in this area! What a horrible experience with those guys, must have been really frightening but I suppose the bright side is that you got to experience the kindness and hospitality of the locals. Also nice tip about the water – didn’t know that so thank you!! Thank you for reading and coming along! We got a few leather bits and pieces as well from the Leather School – a nice reminder of a wonderful city! Since I will be spending a month in Florence next spring I appreciate all your tips. Like in all places there can be challenges, but I’m of the notion that if one is careful bad things need not happen. Despite a few minor things we did feel really safe in Florence, like you say I think you just need to be careful and aware. Very jealous – Florence in the spring for a month sounds absolutely perfect. The gelato is just wonderful Rosemary – we tried a lot and none of it was bad! You just would not, like you say, expect an incident like that in Lucerne but like you say it can happen anywhere, anytime. At least your guy left empty handed and something like that can be a useful reminder to keep alert. Have a great weekend too! It looks beautiful and tastes delicious – we can highly recommend it, having tried more than our fair share!! My tummy is rumbling now. I love Italian food and wine. You just can’t go wrong with Italian food! I love it too (a bit too much!!). 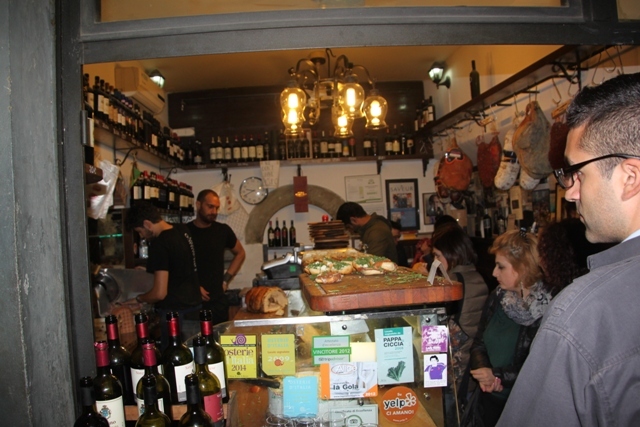 The coffee to go is very cheap, the wine is cheap too and even in a city like Florence there were plenty of places to get very good and reasonably priced food. And of course that gelato….. to die for. Thanks Melissa and have a great weekend. I know exactly what you mean, there is so much to see and do it is a bit overwhelming trying to decide and put things in order of priority. You could probably spend a year travelling around and still only scratch the surface!! I once spent 3 months travelling in Spain and I didn’t even get to Barcelona… Would love to do something like that for Italy too but now doesn’t seem to be the time for it. Yet. Nothing like Italian gelato….love it! Totally agree – we all love it and ate far too much on this trip, but so worth it!! Great post- I’m having flashbacks to our last time in Florence. My mother-in-law recently moved from Bologna to outside of the city center of Florence so I look forward to returning. The food and gelato are divine…and as you said pasta and pizza are always great choices for the kids! Very handy to have an in-law living here – perfect excuse to spend time in gorgeous Florence feasting on all that wonderful food!! Great post…just got back from Florence, and always like reading about places I have just been too….love it! Thanks Diana – we loved it in Florence, amazing food, amazing architecture and just an all round amazing city!! Wow! Check out that gelati! Next time I go to Florence I want to visit the Ufizzi. Have you been there? The queue was a mile long last time so no chance of getting in! We didn’t get to the Ufizzi this time Maria, we did on our last visit when it was just my husband and me! Still that was about 14 years ago and I barely remember it so we are definitely due a return trip sometime. Big queues on this trip too unfortunately. The gelato was amazing – we couldn’t get enough of that! One of my favorite places! 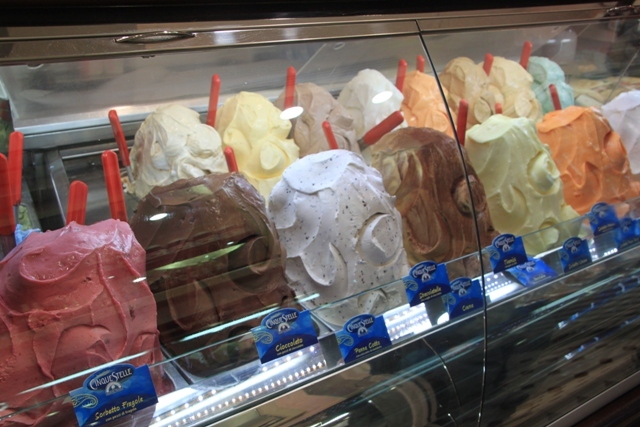 Love the gelato photo – we had it every single day when we were in Italy! One of my favourites too!! Such a wonderful city, we absolutely loved it there, must have eaten close to our body weight in gelato too, just couldn’t get enough of it.